One hundred and fifty laboratories, 41 research centres, 2100 academics and researchers, 2300 research fellows and PhD students. 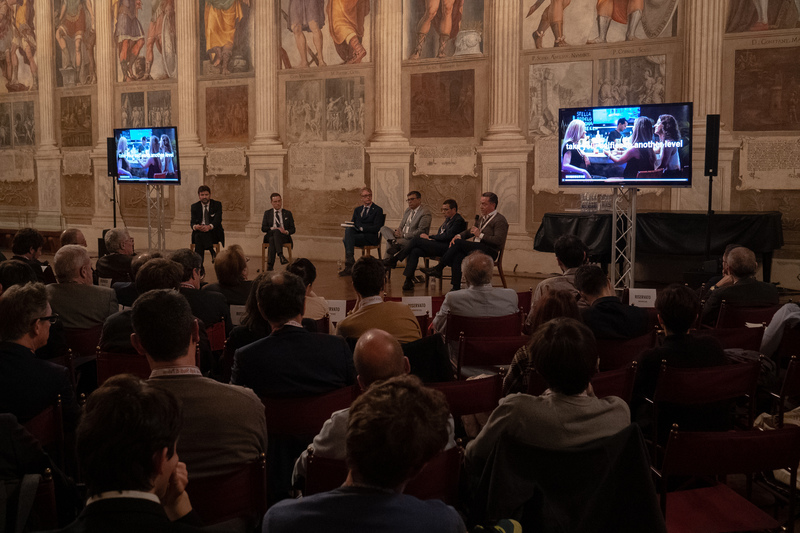 These impressive numbers describe research at the University of Padua, which on Monday the 18th of March, together with the in-house company Unismart, presented ‘Innovation Talks’ in the prestigious sala dei Giganti hall at the university’s Liviano building. Among the guests on the day, before the speech by the Rector Rosario Rizzuto, the CEO of e-Novia Vincenzo Russi took to the stage to speak about the Enterprises Factory’s model to a selected audience of entrepreneurs and researchers. At the same round table meeting entitled “Comparing models of technological transfer: optimise the evaluation of opportunities”, there was a discussion between Stefano Carosio (Managing Director, Unismart), Anil Dave (Head of Innovation and Transfer of Technologies Unit, Italian Space Agency), Fabrizio Dughiero (Vice Rector for Technology Transfer, University of Padua) and Gianmarco Montanari (Managing Director, Italian Institute of Technology), author of “Tech Impact”.